There are now more than 1,100 tax reliefs in the UK. Tax avoidance and evasion, political donors and Swiss bank accountants have been central to the debate. As temperatures rise in the run-up to 7 May, Jann Brown explains how ICAS is dealing with the key issues that will shape the UK's future. The General Election temperature is rising. Recent weeks have seen our profession in the white heat of the debate. Tax avoidance and tax evasion have been the fuel for the fire with a febrile political class and a rabid media pack fanning the flames. Swiss bank accounts, political donors and whether or not Ed Balls would pay his gardener cash in hand have all been central to the debate. Labour is keen to portray the Tories as hard on benefit cheats but soft on tax cheats. The Conservatives respond by claiming that they have taken more action to clamp down on evasion and avoidance than Labour ever did when they held the keys to the Treasury vaults. 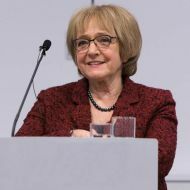 The chair of the Public Accounts Committee, Margaret Hodge MP, spoke at a recent ICAS event in the City and claimed that all the noise and clamour was changing attitudes to tax in the boardrooms of Britain. You may or may not agree on that; but for most tax professionals, and many others in the accountancy profession, it is all an unedifying spectacle, conducted with little knowledge of what advisers do on a day-to-day basis. There is a need to widen the debate beyond the furore of the general election rabble-rousing. For instance, successive governments have introduced a range of valuable tax reliefs to encourage multinationals that "Britain is open for business". Yet some, perversely, seem prepared to criticise those who use them. There are now more than 1,100 tax reliefs. More than 130 have been introduced since 2011. We believe, after years talking about reform, the time has come to grasp the nettle. We need to take real and effective action to simplify our tax system. A simpler tax system would be easier for businesses; easier for the electorate to understand; and easier for the HMRC to administer. ICAS will also play a proactive role during the lead-up to the 7 May poll to raise other big issues which we believe are dear to the hearts of our members. Issues such as access to funding for small and medium-sized enterprises. This has long been an area of focus for our Technical and Business Policy Committees. We also believe that whatever the political hue of an incoming government, they must focus on making our pensions system sustainable in the long term. 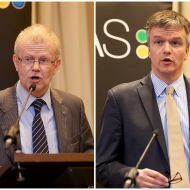 On 25 March ICAS will be holding a big General Election Breakfast Debate at Westminster to hear what the leading politicians from the main parties have to say on these issues and their other plans for the economic future of the country. Kirsty Wark will be in the chair and we are pleased that Treasury minister David Gauke has already agreed to take part. We expect to confirm the participation of other senior politicians soon. We will hold a similar event in Edinburgh on the evening of 2 April. As president of ICAS, it is important to me that we allow our members opportunities such as these to hear the political arguments first hand and put forward their questions to the people in power. As always, we intend to do this while remaining politically neutral. As a body of 20,000 world-class business professionals, the onus for growing the economy, and creating the conditions that will allow for a fairer and more prosperous society, falls upon many of your shoulders. It is important that your voice is heard in one of the most important elections for a generation.